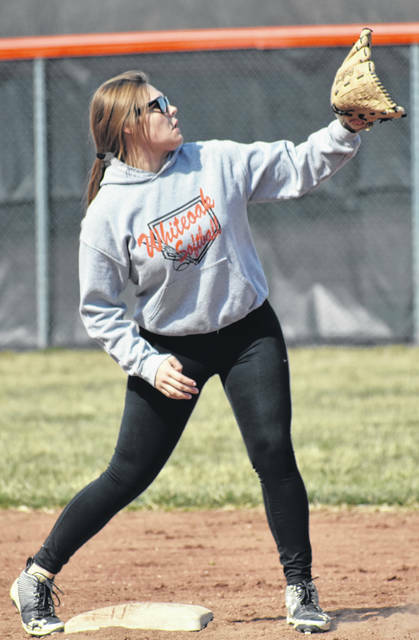 Whiteoak Senior Sydnie Raines makes a play on the ball in the outfield Tuesday at Whiteoak High School where the Lady Wildcats were preparing for the start of the 2019 season. Whiteoak Senior Katie Ames prepares to catch the ball at second base during a drill at Whiteoak High School on Tuesday. The Whiteoak Lady Wildcats finished the 2018 season with a 5-14 overall record and were 4-9 in Southern Hills Athletic Conference play but Lady Wildcats varsity Softball Head Coach Mike Ames thinks the team is ready to improve both of those records in his second year as the head coach in 2019. 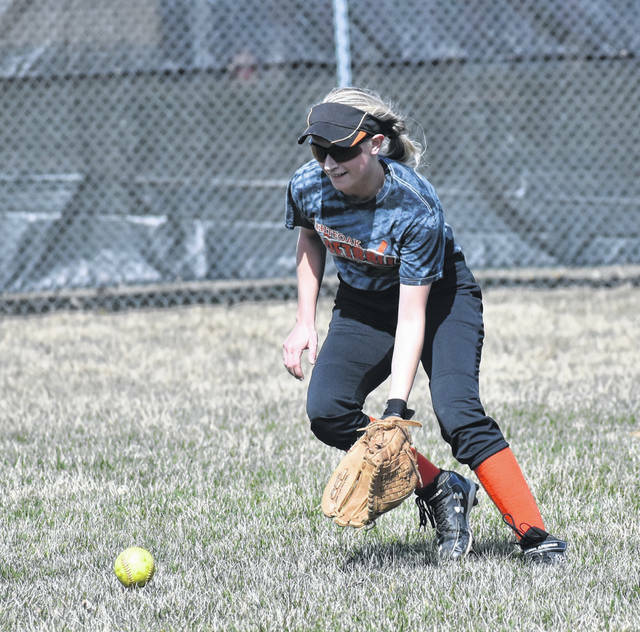 Sydnie Raines is a key member of the program that returns for her Senior season and Raines has stepped up in center field for the Lady Wildcats in practice so far according to Ames. Ames pointed to Brooklyn Gross, Ann Ames, Chandra Hill and Emmy Hawkins as newcomers to the team that he expects to play a role in 2019.